The advent of legalized medical marijuana in Ohio has prompted parents to request that school districts administer cannabidiol (CBD) oil to their children during the school day. CBD is currently used as a homeopathic alternative to prescription medications for treating attention and anxiety issues. On the surface, the process for implementing the request is simple: after completing a request form, parents provide the substance to school officials who then administer the drug as directed. Yet, a recent decision from the Ohio State Board of Pharmacy has spurred questions over the legality of these requests. Although CBD oil is sold in some stores around the state, the Board of Pharmacy issued a statement in August declaring all CBD oil (even that derived from hemp) illegal in Ohio unless it is sold through properly licensed Ohio dispensaries. An argument can be made that a categorical ban against all CBD oil is too broad because some forms and manufacturing techniques may still be legal. However, the Board of Pharmacy’s definitive statement leaves little room for creative interpretations of the law. Further, defending against an accusation that a school district improperly possessed or administered CBD oil would be costly. That’s because it would require proof that a particular CBD oil is legal which would entail intense research into the product, including toxicology tests. The risk of a citation, the likelihood of negative publicity and the cost of defending a district’s actions all weigh against any potential benefit to allowing the use of CBD oil in schools at the present time. While many school districts have policies for administering over-the-counter medicines, including homeopathic remedies, such policies should not be relied upon to administer CBD oil. Even a doctor’s order of administering CBD oil would not be a defense if the substance is illegal and not properly issued through one of the state’s budding dispensaries. In this context, the most well-intentioned school district can find itself on the wrong side of the law. However, school districts must also be cognizant of their obligations to students with disabilities under the Individuals with Disabilities Education Improvement Act (IDEIA) and Section 504 of the Rehabilitation Act of 1973. These laws require school districts to provide the accommodations, modifications and services necessary for students with disabilities to receive a free appropriate public education. One such service can be the administration of medication at school. If a student with a disability requests the administration of CBD oil at school, the district could find itself in a “Catch-22” between the state’s medical marijuana law and federal laws protecting the rights of disabled students. School districts should tread carefully in all situations involving the use of medical marijuana – particularly those involving individuals with disabilities – until the laws catch up with the use of medical marijuana and its derivatives in schools. The Board of Pharmacy’s statement on CBD oil is available here. 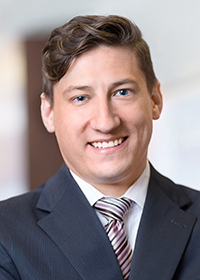 Peter Zawadski is an attorney at Walter | Haverfield who focuses his practice on education law as well as labor and employment matters. He can be reached at pzawadski@walterhav.com and at 216-928-2920.